We dedicate this Rosary Bracelet to the blessed Virgin Queen of Peace. Her feast is celebrated on July 9th around the world, and on January 24th in Hawaii- which Islands are consecrated to Her. 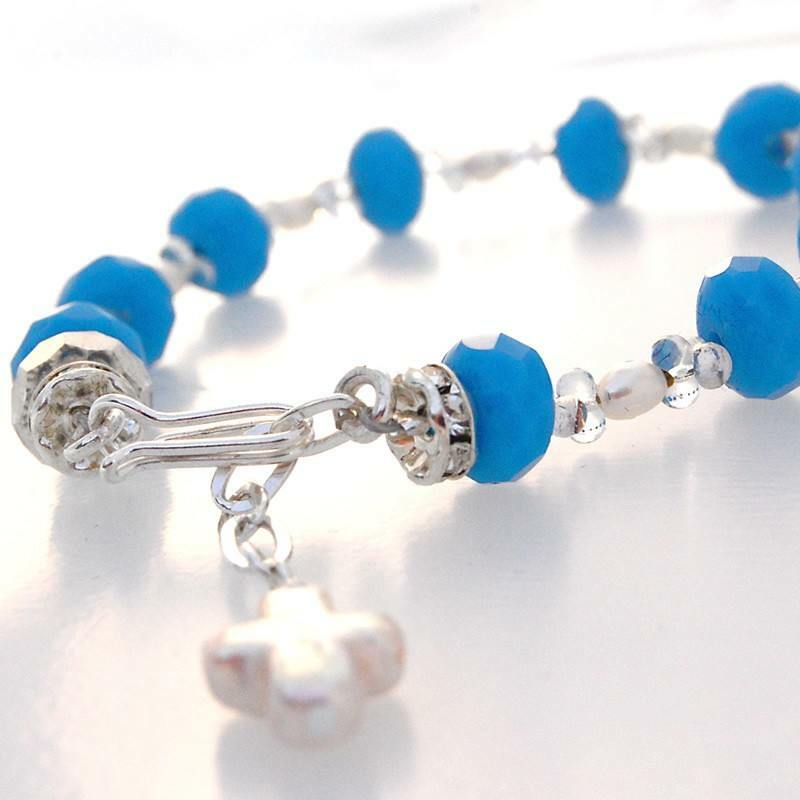 The 10 sky blue Preciosa® Czech pieces represent a Hail Mary. They remind us of our call to pray and work for Peace. 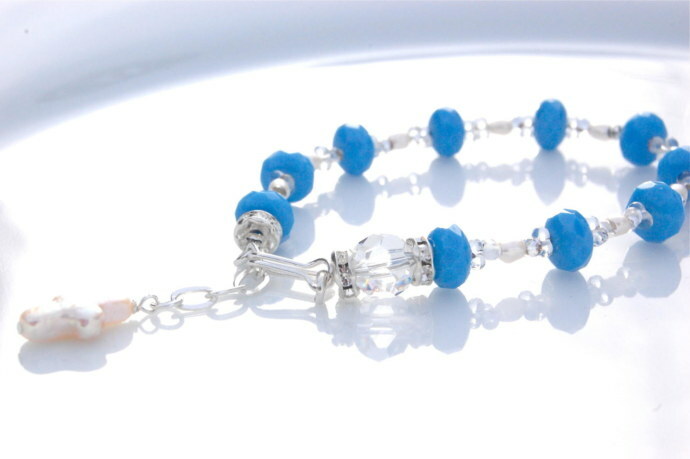 The Rosary Bracelet includes a flexible closing design that incorporates a sterling silver hook type clasp that includes an extender sterling silver chain to accommodate different size wrists. 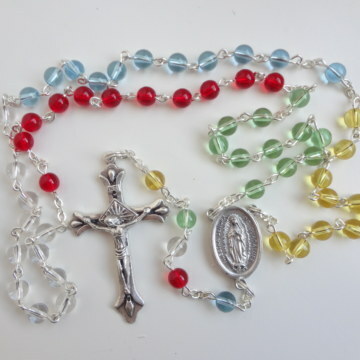 8mm Sky Blue Faceted Preciosa® Czech Glass, 3mm White Fresh Water Pearls, Miniature Farfalle Czech Glass, 8mm Faceted Round Preciosa Czech Crystal, 8mm Round Rhinestone, Sterling Silver Clasp, Extender Chain and Crucifix. Measures approx. 7” to 8″. We have carefully picked the piece’s components to comply with the US Materials code of 2012, and manufactured it securing each component. Still, it is a chocking hazard if placed in mouth. Not intended for children. 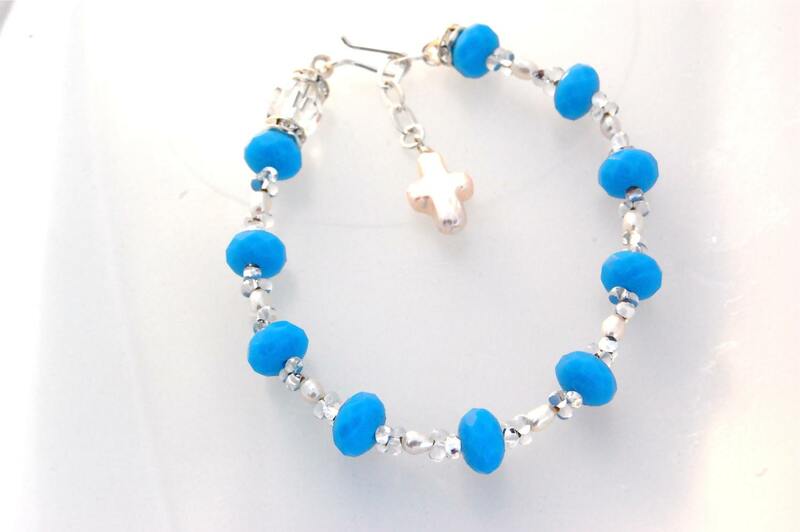 We provide our customers with inspirational handcrafted gifts that evangelize. 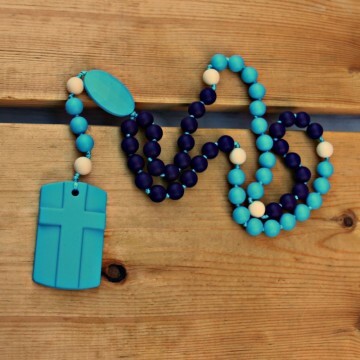 Currently, our own creation products include: Rosary Bracelets, Key chains, Jewelry and Bookmarks. Our operation is located in Sacramento, California for the first five years our company’s conception in 2009. 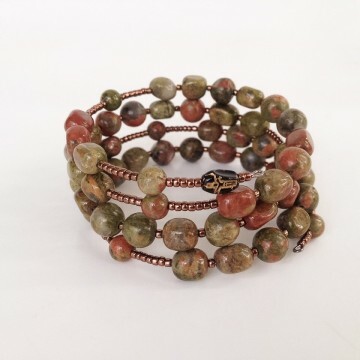 Subsequently, all handcrafting will be conducted in El Salvador by low income women whose children’s schooling will be sponsored by Three Friends’ Signature. In short, we seek to support single mothers by training and employing them as well as aiding their children’s education. 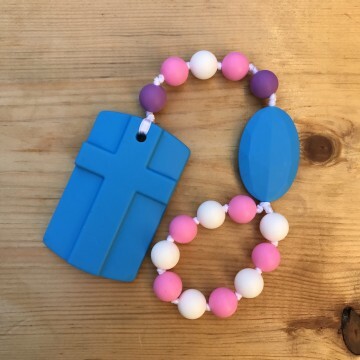 Our product lines will be completed in the future with: Inspirational Gifts, Religious Sacramental Accessories, Catholic Jewelry. GIFTS OF A HIGHER BEAUTY! Shipped via USPS Priority Mail. Orders ship within 4 days.